The First-Ever, Exclusive and Ultimate BEST OF Issue by PDI. Nearly a year of research has gone into this 150+page-publication that spotlights nominees and winners in numerous categories. This issue is the size of almost 4 regular issues, which will be reflected in the printing cost-which is straightforward with no mark-up. 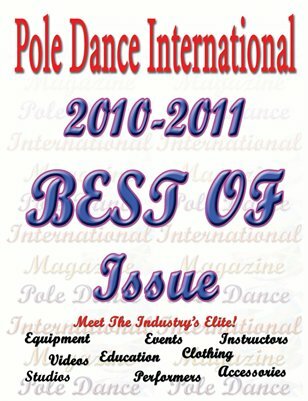 This is a historical, keepsake issue that will change the way the pole industry operates and views many aspects of business. We appreciate all the insight and participation in creating this phenomenal collection!